Austin 2019 - where to sit? My Mum and I are off to Austin this year and need to decide whether to sit in the Turn 1 Grandstand or the one at the end of the straight at T12. First hand experiences and opinions would be much appreciated! Edited by Cliff, 03 January 2019 - 23:20. Edited by f1paul, 03 January 2019 - 16:40. There are so many good places to sit at COTA. Personally, I don't buy grandstand seats as they are way overpriced and just as good views can be had all around the circuit for the price of a GA ticket. But I understand if you have a need for an actual seat. T1 is popular and is nice for the start of the race, but there's generally more action and a better overall view at T12. 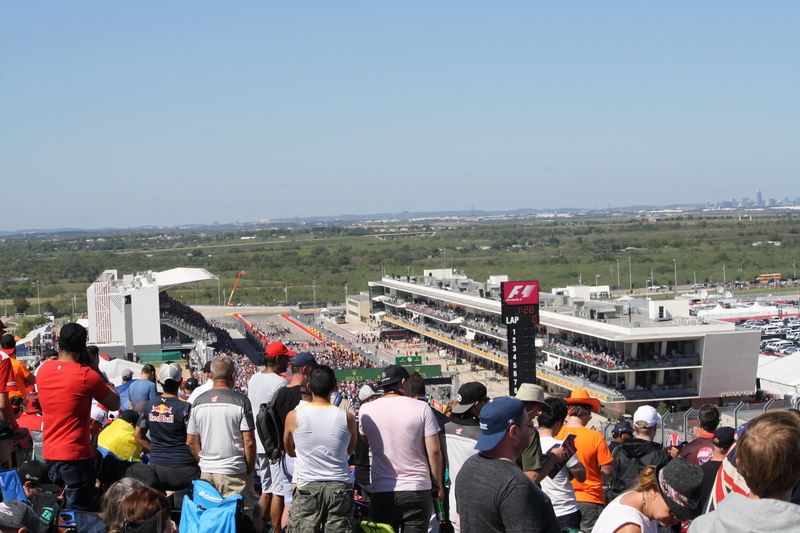 Of all the COTA F1 grandstands that remain (Main, T1, T4, T9, T12, and T15), T12 is one of my favorites, along with T9. At T12 you get to see cars battle down the back straight and then brake right in front of you for T12, then batle some more throughout the stadium section all the way to T16-17. You can also see T1-2 from there, a little bit through the esses, and up to T9-10. If you get a chance, don't miss out on the opportunity to walk around the circuit and see some of the other great viewing spots, especially on the east side of the circuit from T2-11. IMHO that's the best of COTA and, strangely, it's the least attended. Moved to the Grand Prix Travelling sub-forum. Carry on! Two time GA ticket holder here. This has been my experience as well--I'll watch the start of the race outside Turn 1 and then work my way down to Turn 11. Great viewing spots, several good photo opportunities, and watching the cars crest the hill and make their way down to the Turn 11 braking zone is a thrill all its own. Thanks mate, appreciate your help. Is the T1 grandstand close enough to the grid so that you feel at the heart of the excitement in the build up? I'm thinking perhaps not, which tilts the decision further towards T12 because usually the equation is being near the grid plus seeing the start versus better viewing position for the race. We'll definitely explore the track on the Fri and Sat but want a seat for the race. Not really ... not that close imho anyway. You'd be able to see the grid, but from a distance of about 1/4 mile. As Austin F1 says, you're about a quarter mile give or take from the actual grid, so even binoculars aren't much help. But a lot of people gather there for the start, so the feeling is electric, and there's always a group of people with flags, horns , etc., and a large number who come for what may be the carnage of the Turn 1, Lap 1, grouping of cars. As a place to watch the whole race, turn 12 is undoubtedly better. I am leaning towards T12 although I do love being right there at the start! I always find it weird if you're at the race and have to wait half a lap after the start to see the cars but think it's probably the right compromise in this case. The pre-race view from in front of the Turn 1 grandstand looking towards the pits, 2017. That is an enticing view!